Back in August, I fell head over heels in love with a zinnia. Let me be clear: This was plant lust at it's finest. I took several photos of this plant — even selfies with it. This wasn't any ordinary zinnia. The petals had an ombre effect that ranged in color from apricot to rose, standing on sturdy stems that propelled the 2 to 3 inch double and semidouble blooms about 30 to 40 inches off the ground. This was one of the many plants being evaluated in this year's All America Seed 2017 Ornamental Seed Trials, and depending on how it would perform during the growing season would decide if it would be available as an AAS winner for home gardeners to enjoy in the future. “It looks amazing everywhere,” said Diane Blazek, Executive Director of All-America Selections (AAS). Obviously, I had my fingers and toes crossed that it would win. 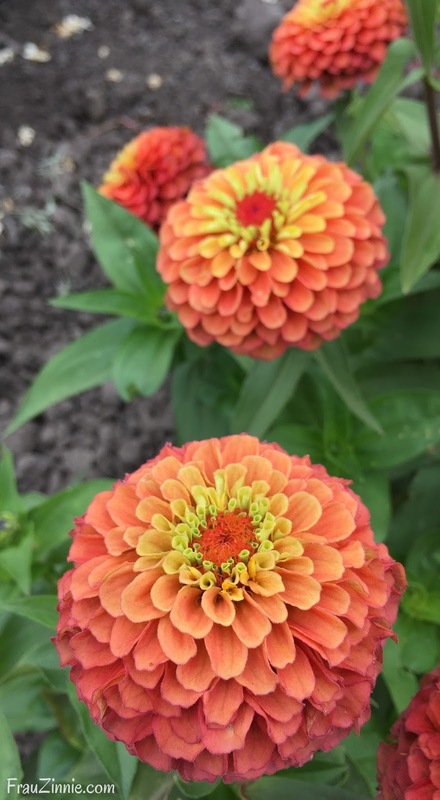 So in late November, I was delighted to find that it was one of the 11 plants recently designated as 2018 AAS winners (and officially named Zinnia Queeny Lime Orange). Each year AAS evaluates numerous entries into its ornamental and edible categories. 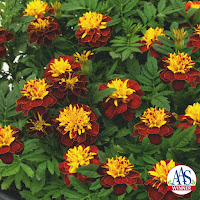 AAS is the only non-profit plant trialing organization in North America, and the plants are grown in multiple locations. (I had a chance to view two trial grounds when I visited California in August as an NGB Plant Nerd.) There are between 30 and 45 professional, independent, volunteer judges for both the flower and vegetable category. 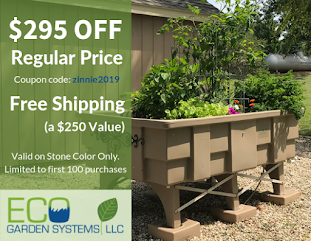 The entries are assigned code numbers and are grown alongside two comparable varieties currently available on the market, which also means that all varieties need to be planted at the same time and each plant treated equally. The judges take notes on the way the AAS entry plant grows and how it compares with the varieties it is being compared to. Once all the data is tabulated, the winners are crowned. Canna South Pacific Orange F1 in an AAS trial ground in Salinas, California. A canna grown from seed! Say what! 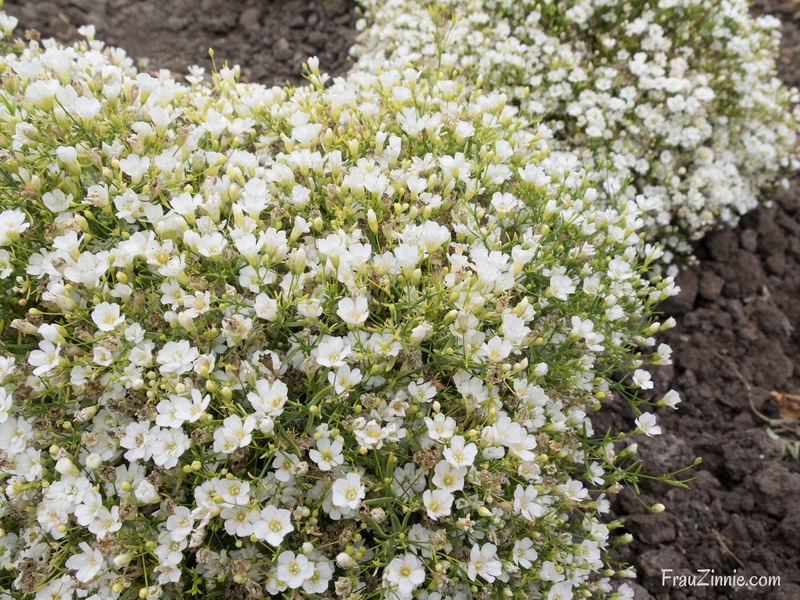 That's right: This compact variety can be used in the landscape or in containers. 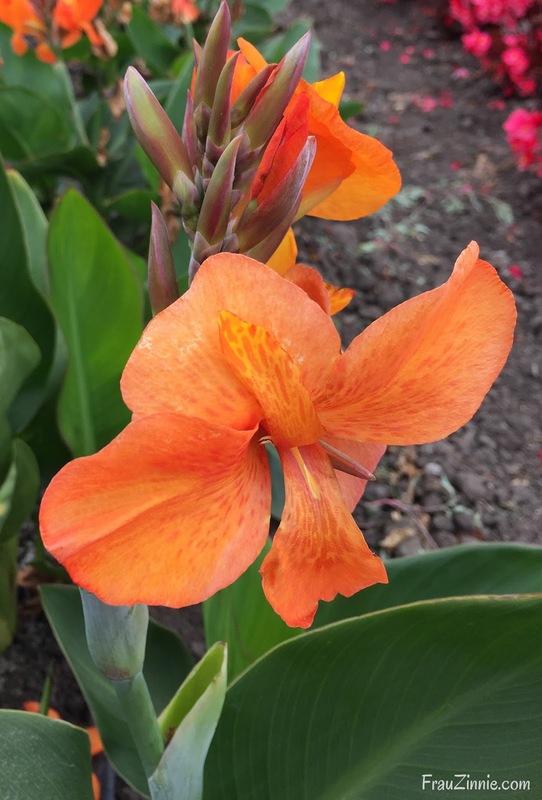 This canna is unique because of its vivid orange coloration and it makes a good tropical addition to the garden. The flowers contrast with the bright green foliage, and offers more vigorous, more uniform, and more basal branching than comparison cannas. 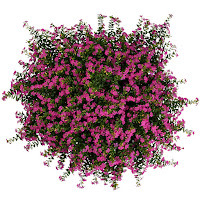 It grows up to 52 inches high, and can also be used in pollinator gardens. 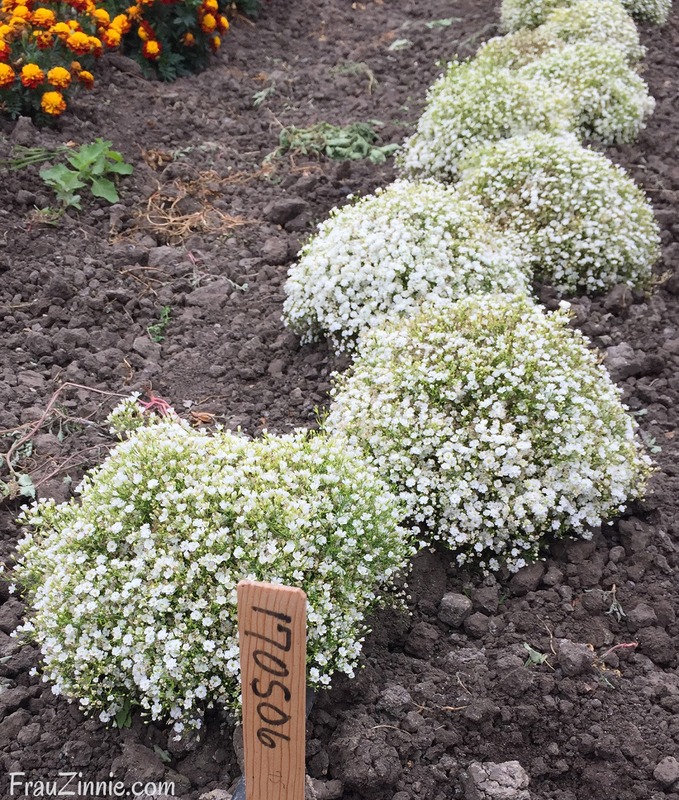 Gypsophila Gypsy White Improved at the AAS Trial Ground in Salinas, California. This variety was actually grown next to Gypsy White in the plant trials (it's predecessor). This improved variety of Gypsophila has double flowers and a compact form that offers better branching than Gypsy White. The flowers are much whiter and offers more, larger flowers, some of which are double. 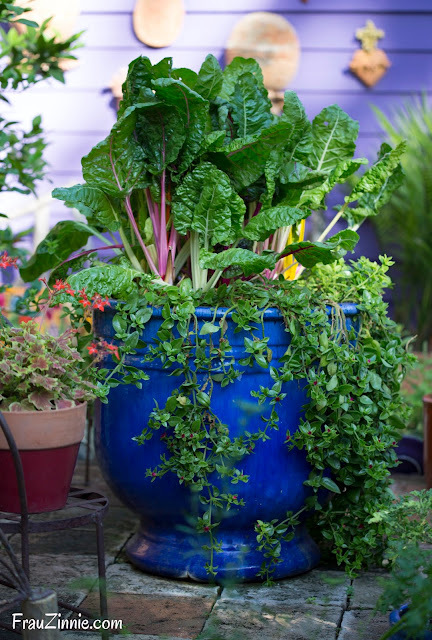 It does well in containers and tucked into small spots in your garden. 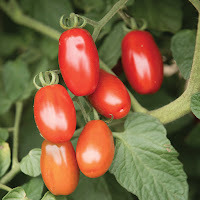 This tomato is the fifth addition to the Chef’s Choice tomato series. (A delicious family that the NGB Plant Nerds sampled during the Veggie Trials!) 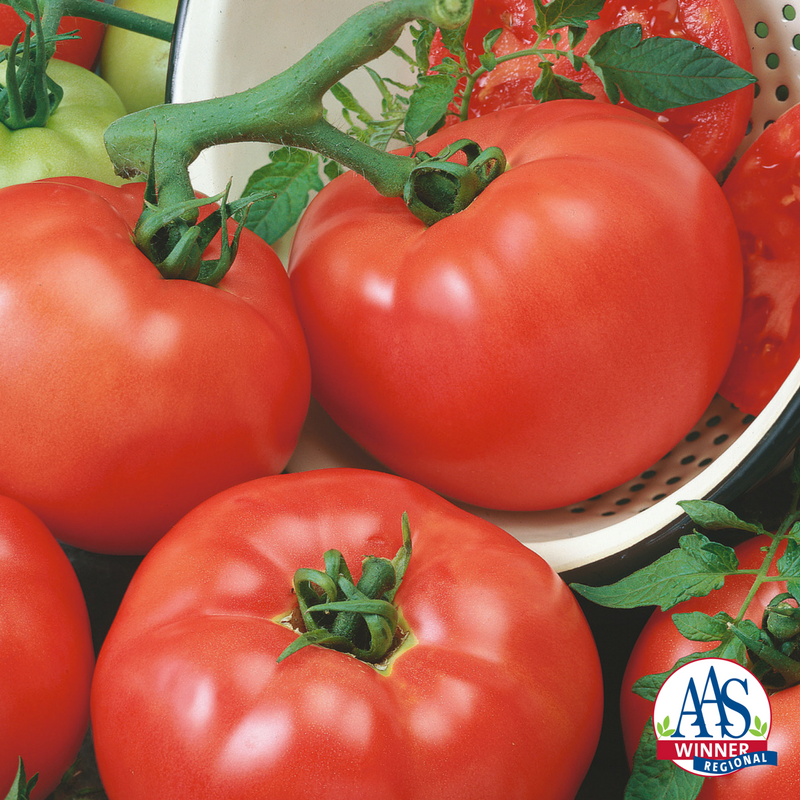 It produces globe-shaped, beefsteak style tomatoes, with a firm flesh and a superb balance of acid to sugar. The 8 ounce fruits are prolific, and are grown on 5 foot indeterminate plants. Chef’s Choice Red was also a regional winner (southeast, north to northwest). To view the region map, click here. There hasn’t been much breeding for French marigolds lately, but Marigold Super Hero Spry is here to change that. This bicolor version is more compact – about 10 to 12 inches tall. It doesn’t need to be deadheaded in order to bloom and it attracts other pollinators, so it would make a great border around a veggie plot. The Valentine F1 tomato is an indeterminate grape tomato that is very meaty – like a miniature Roma (paste tomato). However, in addition to its deep-red color, it also has a Brix of 7 to 9 and lasts on the vine (if you can’t pick it right away). It starts producing fruit in as little as 55 days from transplanting. 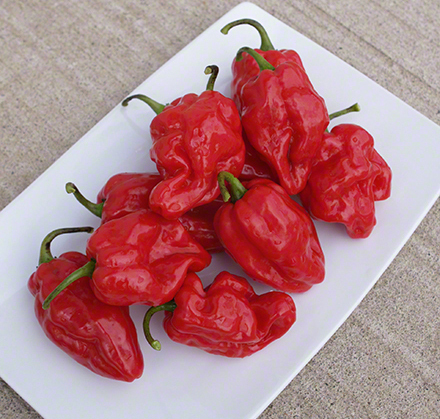 Pepper Hungarian Mexican Sunrise F1 is a multicolor variety that can be eaten at any stage. 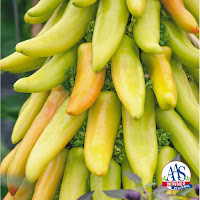 It has an early maturity and a high yield, ranging in color from lime green to yellow to orange and then red. The peppers are semi-hot, can be used for ornamental displays or for processing, pickling or fresh eating. Hungarian Mexican Sunset was a regional winner (southeast and southwest United States). 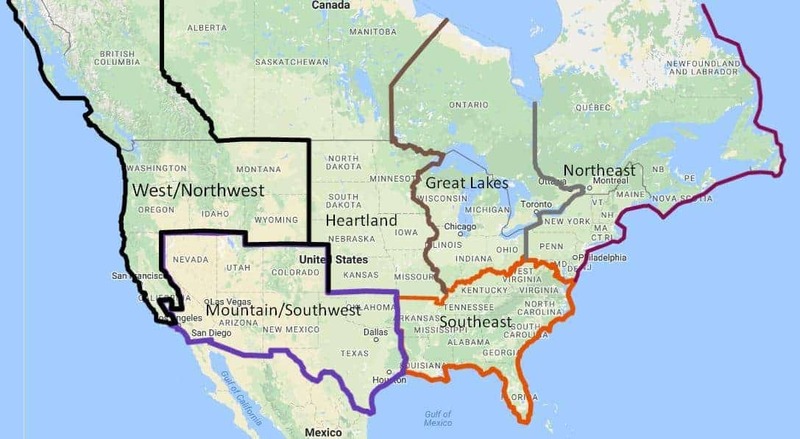 To view the region map, click here. Pepper habanero Roulette F1 is a sweet habanero, with no heat! The one ounce fruits are red with thick walls and a citrusy flavor. The plant produces peppers sooner, with a high yield. 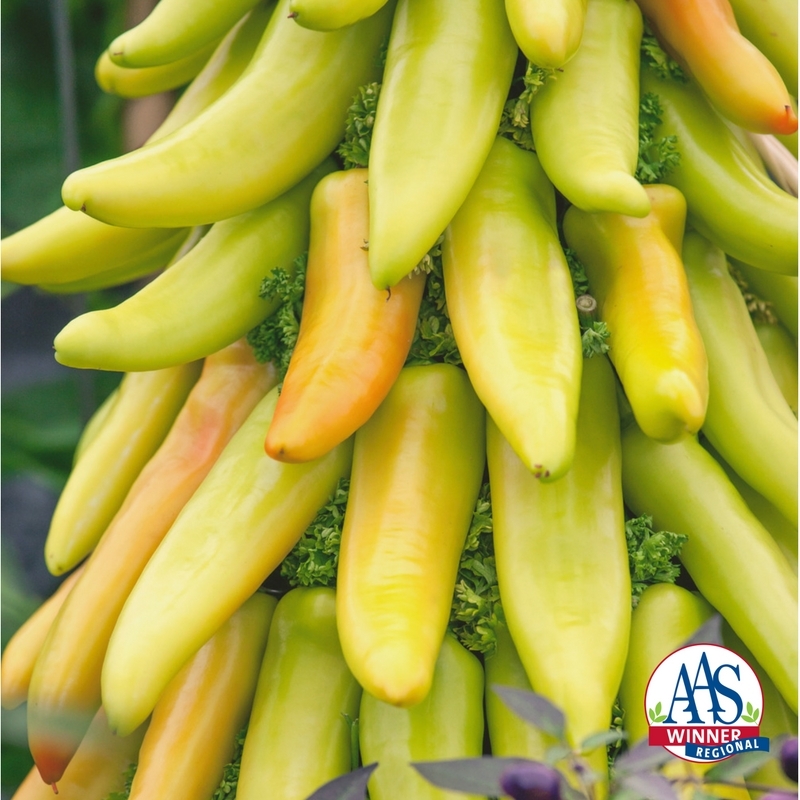 According to AAS, “one judge noted that each plant easily produces 10-11 fruits at one time and up to 100 per season so there are plenty to eat fresh, cook with, and enjoy!” It’s a great pepper for a foodie to grow in his or her garden. 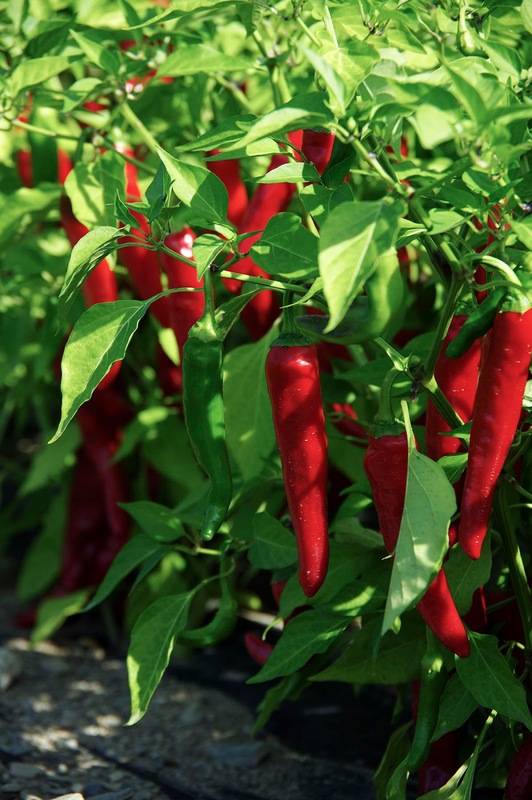 Red Ember F1 is a cayenne pepper that has better growth habit (medium size plants) and offers numerous peppers that are spicy. It is earlier to mature than the other varieties it was trialed against, which means they will turn red before the first frost in shorter growing seasons. Pak Choi Asian Delight F1 was exceptionally high scoring in the trials, according to Blazek. 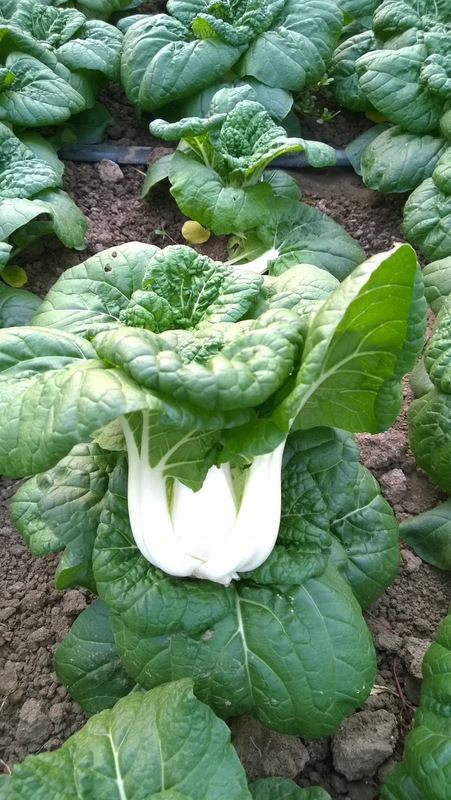 “It was trialed against top Pak Choi on the market and all the judges absolutely loved it,” she said. Also known as Bok Choy, this Chinese Cabbage outperformed the comparisons it was trialed against “by leaps and bounds,” according to AAS. The main quality that stood out was that it did not bolt, even weeks after the other varieties had gone to seed. It forms 5-7 inch heads with a white rib and a dark green, textured leaf. The Cuphea FloriGlory Diana was trialed as a cutting, so unlike the other varieties, it is only available as a plant. 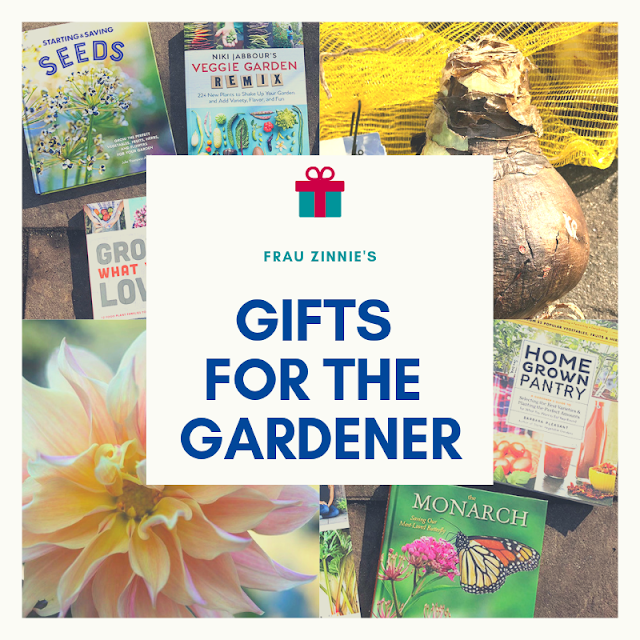 (The other winners are available as seeds.) It has larger flowers that are dark magenta with dark green foliage. 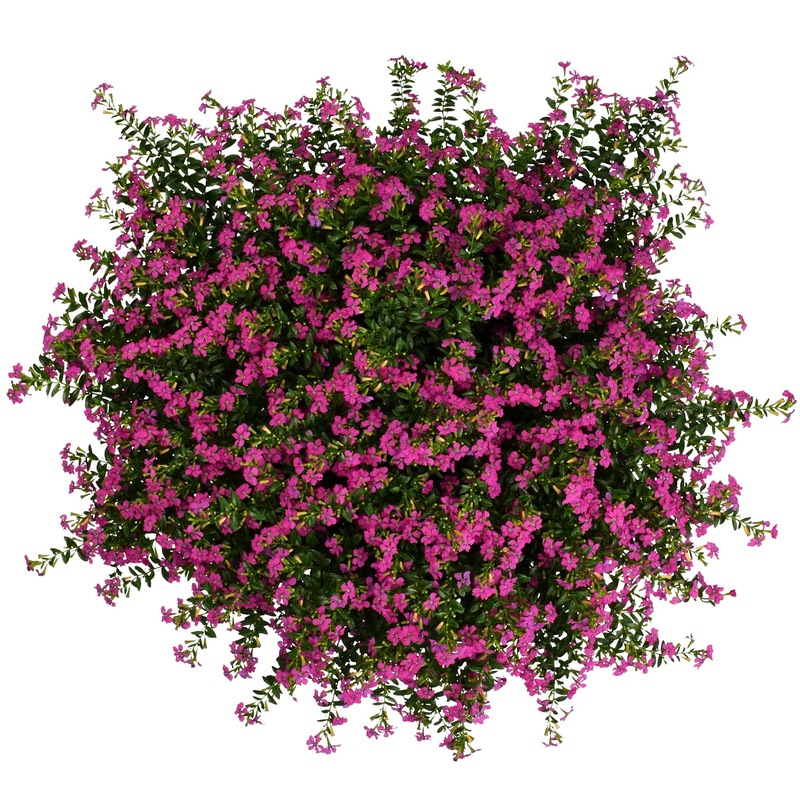 The plants stay compact (10 to 12 inches) and have heat tolerance. These 11 winners join the three previously announced 2018 AAS winners in July 2017 2017: Sweet American Dream Corn (the first bicolor sweet corn that has been trialed in 20 years by AAS); Ornamental Pepper Onyx Red (a decorative variety used for fall containers and offers its best color later in the growing season); and Red Racer F1 tomato (a vigorous cocktail-style tomato).